One is hard pressed nowadays to find any acknowledgments of the vital role which Christianity has played in the rise of the West in general, and the rise of Australia in particular. One can rightly argue that both in large measure have been built on the foundation of Christianity, and in this case, evangelical Christianity. Instead of looking at this in terms of separation of church and state the authors see it rather as cooperation between church and state. The complementary nature of this relationship is found especially in all that evangelical Christianity has contributed to Australia in terms of health, education and welfare. It is a “missing story” as Piggin puts it. The subtitle of this book is “Evangelical Christians in Australian History 1740-1914”. 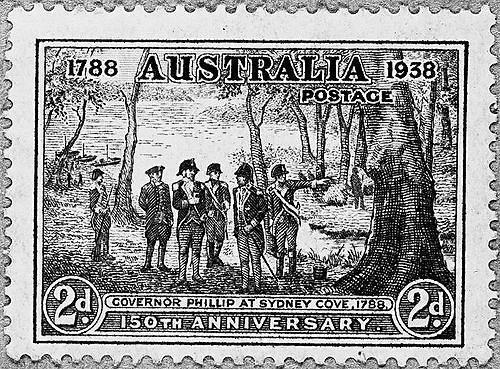 Given that the First Fleet came to Australia in 1788, some might ask, why the 1740 date? Simply because evangelical revivals in Britain in the 1740s gave birth to the impetus to take the gospel far and wide, including, eventually, Australia. But this work is the most recent and most thorough thus far produced. 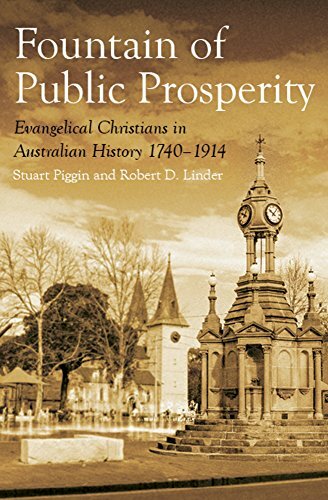 Piggin is a Sydney historian and theologian, and Linder is an American historian. They have both written previously on such matters, including, Spirit, Word and World: Evangelical Christianity in Australia by Piggin (Acorn, 1996, 2012 rev.). Here they look at the evangelical connection to the founding and growth of Australia. They note that we of course have many books offering a purely secular look at such matters, as well as a number of volumes looking at the contribution of Catholics. But the important story of evangelicals and Australia’s history has usually been overlooked. Thus the importance of this volume. In nearly 700 pages that story is told – with a second volume on the way. Simply looking at the First Fleet tells us much about the evangelical roots of Australia. The evangelical Christian, Charles Middleton, is one of many whose story deserves to be told. He was a friend of the evangelical abolitionist William Wilberforce and helped to build up the Royal Navy. He ensured that the 11 ships of the Fleet had plenty of religious literature. All up there were 4000 such volumes, courtesy of the SPCK, of which he was a life-long member. And when the first men set foot on Australian soil in 1788, they were not bringing with them established religion, but “the multidenominationalism of evangelical Christianity.” It was not until 1821 that denominationalism and sectarianism was introduced to NSW. 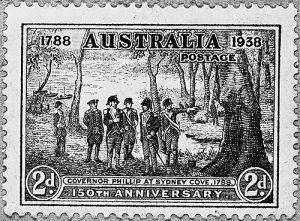 The authors demonstrate how the settling of NSW was not just to offload some convicts, but that “it was an opportunity for a great reform experiment, consistent with the values of the ‘Evangelical-humanitarian confluence’.” The evangelicals were aware of the power of the gospel to reform society in the old country, and fully sought to do the same in the new. But yes, all up some 162,000 convicts were transported to Australia, and the authors note the work of evangelical chaplains and missionaries amongst them. Numerous other stories are presented to illustrate the fact that the story of Australia’s formation involved individual conversions and discipleship along with moral and social reform. Samuel Marsden (1765-1838) – along with his offspring – is one prime example of this. The evangelical pastor arrived in 1794, and did not just preach sermons and minister to the new arrivals, but got involved with things like the development of NSW’s wool industry. He went on to do missionary work in New Zealand. As to education, it was the churches that were mainly responsible for this in Australia until around 1880, and until the 1960s these public schools were infused with Protestant values. The early Sunday School movement was part of this, and even the ‘free, compulsory and secular’ Education Acts passed between 1851 and 1893 by all six colonies were for the most part supported by the evangelicals. Many very famous names are found here. Charles La Trobe (1801-1875), who was so important in Melbourne’s political circles – including being lieutenant-governor of the colony of Victoria – was from a strong French Protestant and Moravian heritage. John Fairfax (1804-1877), owner of the Sydney Morning Herald, had been a deacon and Sunday School superintendent back in the UK. He was an unashamed Christian who never tired of speaking of his faith and sharing it with others. Sixteenth, most Australians – closer to 100% than to 90% in the nineteenth century – identified with one of the Christian churches and thought of their nation as a ‘Christian country’. What this meant in practice was the creation of a nation-wide ethos of freedom with responsibility. The panoply of freedoms – freedom of speech, freedom of the Press, freedom of association, freedom of worship, freedom of conscience and the right of private judgement – was one of the most enduring achievements of vital faith, especially of evangelical Noncomformity towards the end of the nineteenth century. In sum, this is a very important and much needed volume, helping to dispel and correct so much of the skewed and biased religious history of Australia. Even for those few readers who already know a bit about these matters, there is a goldmine of information, observation and analysis to be found here. And as mentioned, for those who have enjoyed and benefited from this book, there is a second volume bringing this study up to present times now at the printers. We look forward to that with great anticipation. 14 Responses to A Review of The Fountain of Public Prosperity. By Stuart Piggin and Robert Linder. Thank you! I studied Australian history from primary school, through secondary school and majored in History (Australian History) at University but was taught very little of our Christian foundations. Apart from Samuel Marsden and John Flynn it seemed to me that evangelical Christians had little part to play in Australian history. I presume my generation were all raised in the same way! No wonder there is no appreciation of our Christian heritage and Western civilization! Another very interesting book dealing with the influence of Christianity is “The Book That Made Your World: How the Bible created the soul of western civilization” by Vishal Mangalwadi. Thomas Nelson 2011. Well worth reading. Stuart Piggin is one of Australia’s finest historians, with a quality theology as well. He deserves to be read widely, and his insights digested, and utilised. Thanks for drawing attention to this book, Bill. Much appreciated. Books and history, and history books. I am currently reading C.S.LEWIS A LIFE by Alister McGrath, and just a day or so ago came across a passage that speaks exactly to this theme raised by Bill “helping to dispel and correct so much of the skewed and biased religious history of Australia”. The “skewed and biased” view is fashionable at the moment and tends to belittle any other view. I have bound copies of “The Wesleyan-Methodist Magazine” for 1836 and 1837, and I wonder if Stuart Piggin had useful access to them. Thanks for this Bill. Two other books I found well worth the read were: “Australian Christian Life from 1788” by Iain Murray; and “One Blood – 200 Years Of Aboriginal Encounter With Christianity: A Story Of Hope” by John Harris. It annoys me when I see SBS and others acknowledging the supposed original owners of the land and yet never acknowledging, and in fact disparaging, the massive contribution Christianity has had. The reality is that SBS owes vastly more to Judaeo/Christian culture and Christianity itself than it does to the aboriginal people. There simply is no comparison. Slightly off topic but I also noticed that SBS does not have the means to present more than what would not even pass as decent home movies yet still has plenty of resources to constantly push its propaganda. I was also horrified to see recently at a Catholic funeral I attended, a senior Nun claiming the land the church was on was sanctified for tens of thousands of years through the aboriginal people. No wonder Christianity and society is in the mess it is in when even senior Catholics cannot see the difference between what God has given us and what pagan culture has delivered. Nice interview with Stuart Piggin in the excellent John Anderson interview series. Great to see a historian actually doing history rather than the black arm band lies we are constantly fed about our history. Christians roots in SA, NT and WA. Does the writer have any details about the Lutheran/Barossa German Christians who came to SA, and populated the Barossa valley, and shared faith, culture and language there, and in Herrmansberg? The influence of Mary Mackillop is another story which deserves a gong! Also, seems like there is a Catholic story in WA which has contributed a good deal to their development. Too many historians seem to imagine that the stories which are part of the Eastern Seaboard are the only stories Australia has! Thanks Mary. Yes the story of Christianity in SA, including the German Lutherans and others is told by the authors in this book. As mentioned in my review, since a number of books already exist on Catholicism in Australia, they do not cover that so much in this volume. Yes, I heard of this book via John Anderson’s website as well and am currently working my way through it. Bill, another book I bought in recent months (also after coming across it on john Anderson’s website) is “God is good for you” by Greg Sheridan (https://www.koorong.com/search/product/god-is-good-for-you-a-defence-of/9781760632601.jhtml). Have you read this and if so, what are your thoughts? Reading this, it was interesting to see in more detail how politicians such as Bill Shorten and Penny Wong seem to think they are Christians (although Wong does actually go to the Uniting “Church” – no surprises there…). Neither of those I would call “God-fearing”.